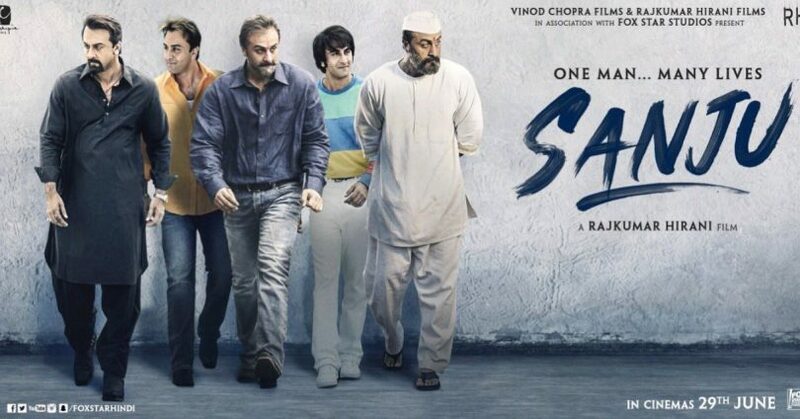 Director Rajkumar hirani took to twitter and revealed the news that trailer for much awaited ‘Sanju’ starring Ranbir Kapoor in the titular role will finally be unveiled on 30 May. As the day is approaching, Rajkumar Hirani will be unveiling character posters of all the actors which would include Paresh Rawal as Sunil Dutt and Manisha Koirala as Nargis Dutt. Dia Mirza will be playing Manyata Dutt while Sonam is portraying someone that will be revealed only mater. Hirani took an entire week and released several looks of Ranbir as Dutt ageing from 22 to late 50’s. Teaser of the film was a major hit and got more than 50 million views on YouTube with a lot of critical acclaim from the critics. Ranbir seemed unrecognizable as Dutt in many shades though some people found the performance to be a little caricature. In very few sections, Ranbir nearly imitated the on screen persona of Dutt as audience knows it though they should show more of internal aspect which was hidden from the world. Hirani knows Dutt more than most people as he gave him a new lease of career with Munna Bhai franchise and also started his professional ventures in cinema. In one of his interviews, Hirani said that he absolutely did not want to include Munna bhai phase of life in the film as it would be really narcissistic but his co-writer Abhijat Joshi insisted that there can’t be a Dutt biopic without taking Munna bhai in account. There were rumors that Hirani would be seen in a cameo where Munna Bhai is being shot with in the film directing Ranbir but he said that he refrained from any such activity which would trigger the discussion of propaganda about his own self. Trailer is highly anticipated as Hirani is the biggest director in this country.